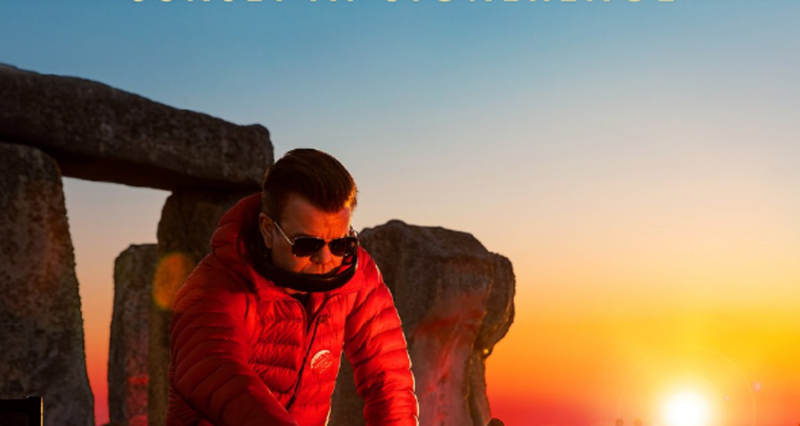 World renowned UK DJ, Producer, and Recording Artist Paul Oakenfold blazes another new frontier with his most recent album drop, Sunset at Stonehenge. Throughout the last three decades, Oakenfold’s instrumental role in the evolution of the dance and electronic music genre has propelled him to the forefront of the global music scene. In addition to being one of the top searched Electronic artists on Google, Oakenfold’s accolades include being named “The Most Influential DJ of All Time” by UK publication, The Evening Standard, and being made a Soccer Aid to UNICEF Advisor after raising $6.7 million for the charity. Besides talent and popularity, Oakenfold established himself as true musical Pioneer, by performing in world-famous locations. The album compiles releases Paul recorded during his epic performance atop the Great Wall of China, as well as, his Base Camp concert, atop Mount Everest the highest DJ Gig ever. Most recently, Oakenfold tackled a location no other musician has played: Stonehenge. Bringing his salacious soundscape combination of classical, opera, film scores, and electronic music to life amidst an ancient environment. Each track, whether it included U2, Empire of the Sun, or Chicane, fit the mood of the 5,000 year old monument. At all of these groundbreaking invite only gigs, Oakenfold performed for smaller crowds. However, now these magical music moments will be available for all to experience. The highly anticipated album will be available to most through CD, Download, and Digital Streaming Platforms. However, US fans will need an Export Edition of the CD.